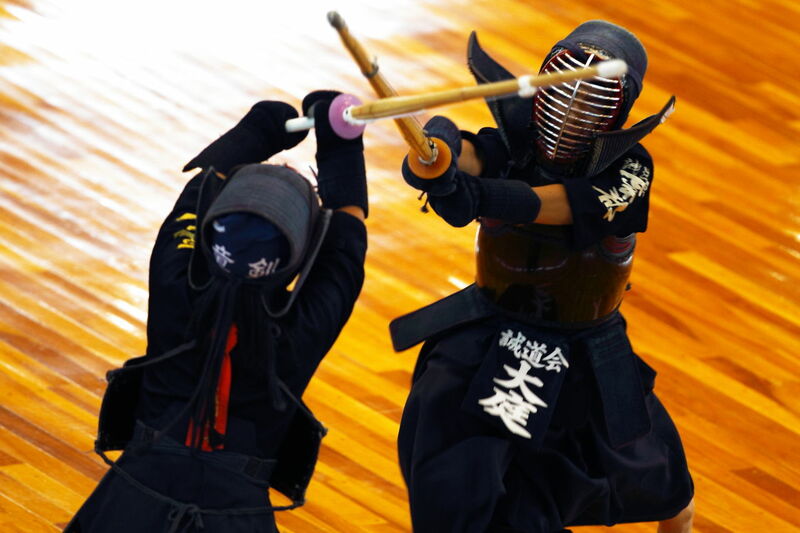 Kendo is the old japanese martial art swordmanship that, in its origins, was normally practiced by samurai. 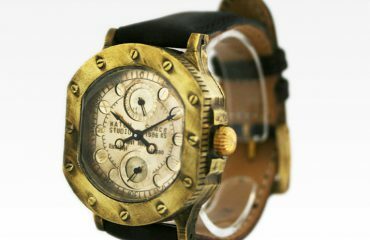 Today it is considered a discipline in which mind and body meets in challenge in a sport-like way activity. The Japanese sword may have emerged around the Heian Era (794-1185) handled by a tribe that specialized in cavalry battles in northern Japan. 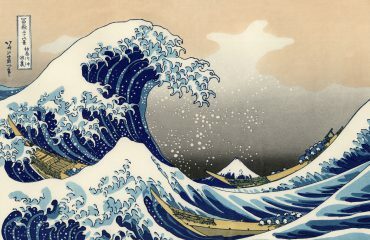 In the Kamakura period, samurai used swords in their training, and in the Muromachi period Japan entered a period of anarchism that lasted some hundred years where, along with the shogun, samurai lead the way into battles against the different shoguns. 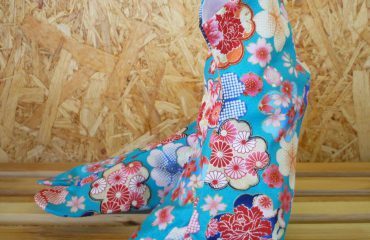 After a long period of inner conflict, Japan entered the Tokugawa or Edo Period and were 250 years of peace and balance power. 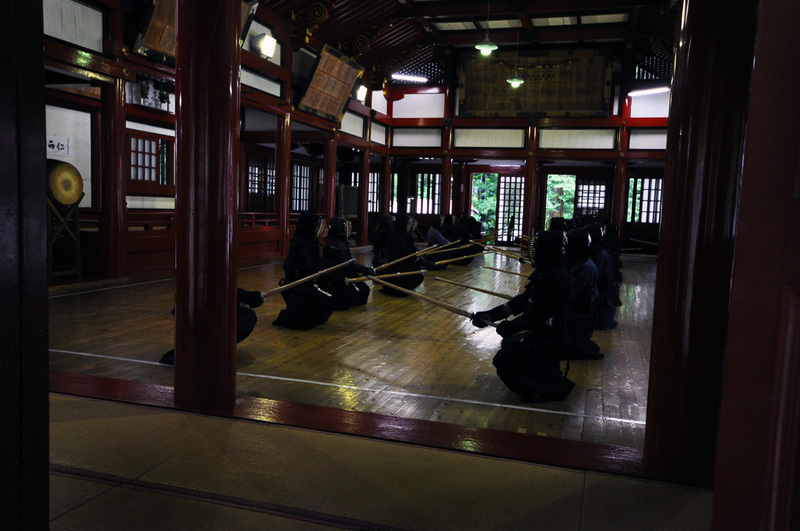 Samurai had no reason to train for battle so schools of kenjutsu (later called Kendo) started to appear and techniques of the ken (sword) were developed. 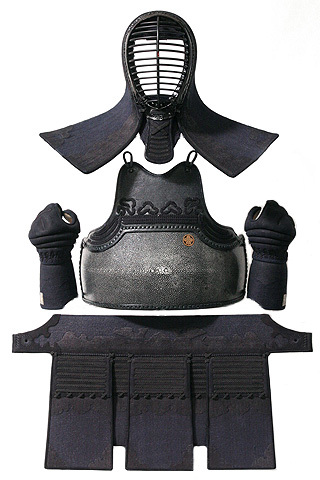 As it had become a discipline and not a way of killing people, gears and protections (kendo gu) were developed to soften the impacts of the hits of the sword and to protect in specified target areas such as the head, arms and torso. Kendo techniques comprise strikes and thrusts. Strikes are only made towards wrists, head, or body. Thrusts are only allowed to the throat, often restricted to senior dan graded kendōka thou. As in other martial arts like Karate, Ninjutsu, Kyudo and so, the kata are fixed patterns that teach the basic elements of the discipline. 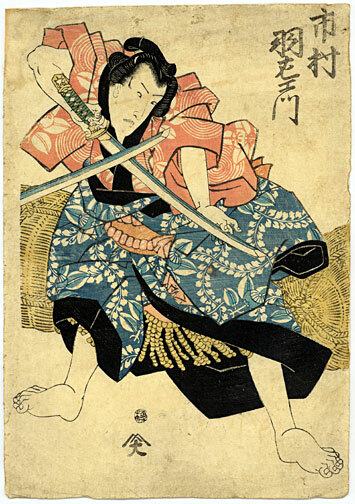 Kata include fundamental techniques of attacking and counter-attacking generally practiced with wooden swords or bokutō. After the Meiji Restoration Period (1968) the Dai Nippon Butoku Kai (DNBK) was established, stating that the aims of the society include “the restoration of classical martial cultures, promotion of international peace and harmony through the education and training of the traditional martial arts disciplines”. Good composed. I really liked studying this publish, many thanks for sharing. I hope that you hold updating the weblog….